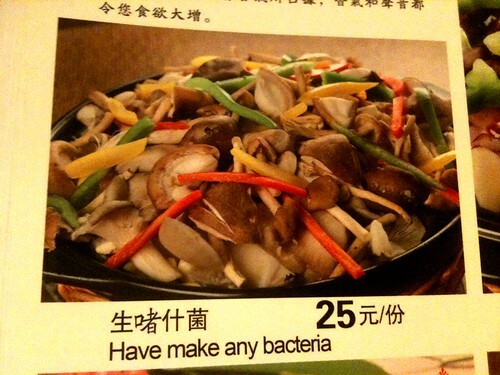 OK, I know, it’s been done before, and it’s just so easy. 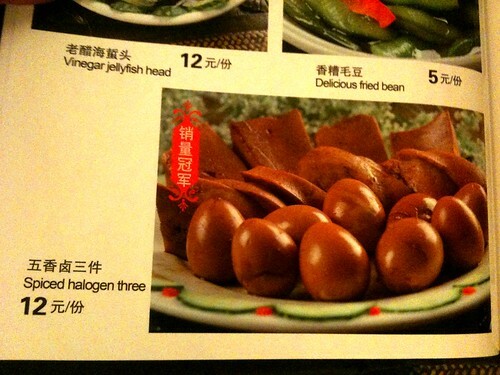 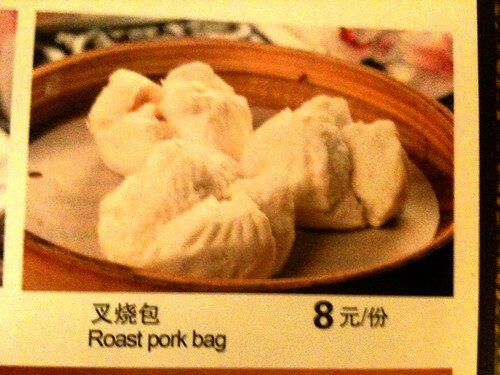 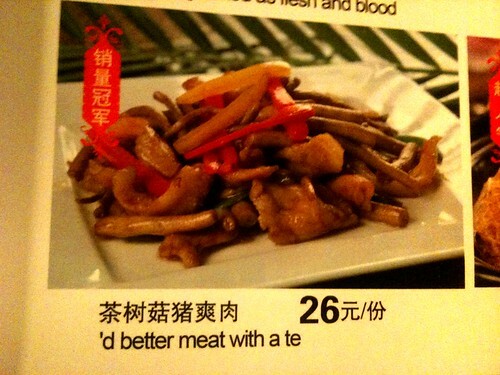 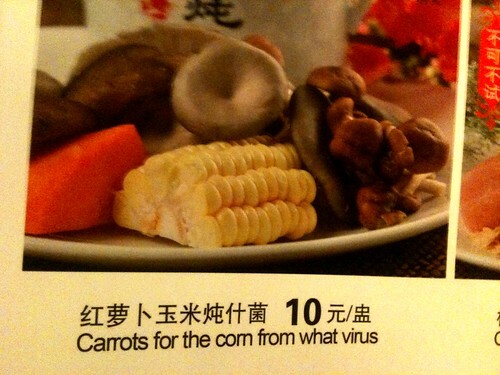 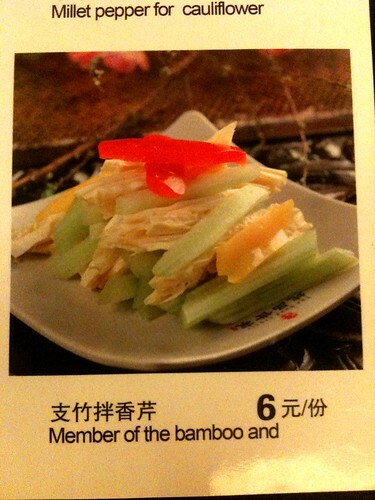 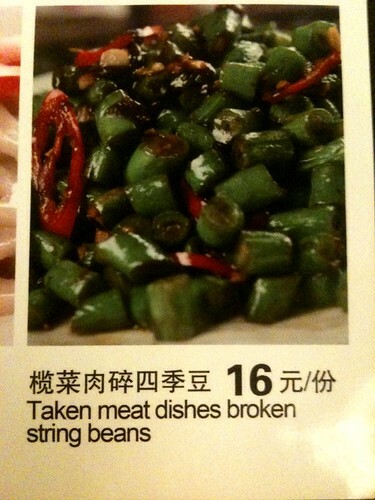 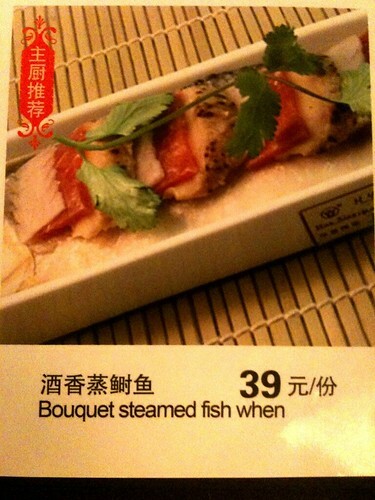 There are many menus in China with bad (and often hilarious) English translations. 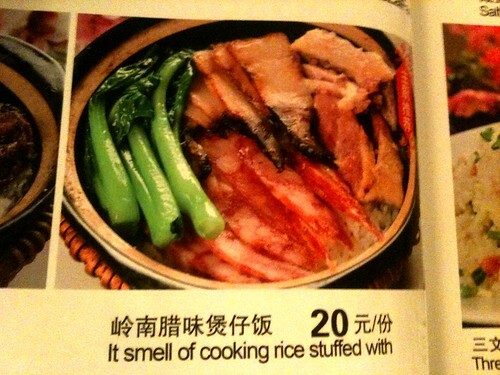 But even after all these years, this one stood out to me because (1) it is otherwise an extremely high quality menu, and (2) the errors are of a somewhat bizarre nature, rather than centering on horribly inappropriate mistranslations of the character 干 [more on that here and here]. 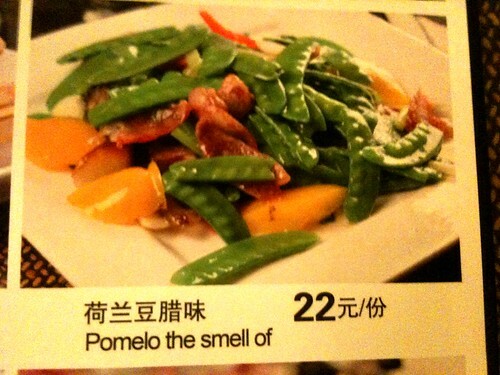 You can find more of the menu here. 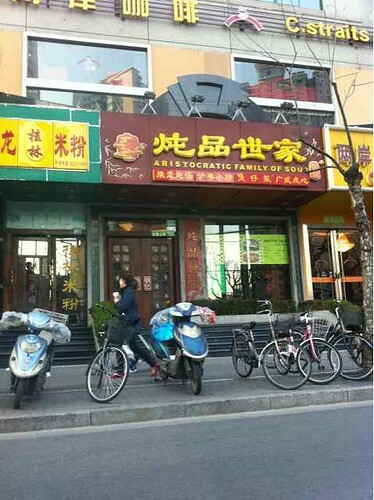 Also, a big thanks to Will, who introduced this resturant to me and provide the above photo and address.